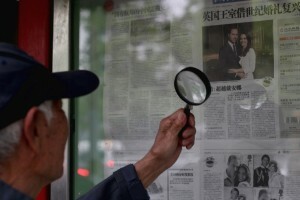 Chinese daily newspaper Global Times launched its bilingual US edition this week, becoming the first newspaper from the mainland that launches an American edition of both Chinese and English daily at the same time. The Global Times said the US edition would provide readers with sharp reporting and perceptive analysis. It seeks to cover world events from a Chinese perspective, and introduce a dynamic, complex and changing China to the world in vivid, accurate reporting. As China’s GDP continues to expand and lead the global recovery, the newspaper aims to showcase for a worldwide audience real voices from across a transforming China, guiding it through the country’s fast-growing economy and ever-changing society, the newspaper said Friday in a briefing. The US edition also seeks to increase its coverage of the local communities to cater to the needs of American readers. The English version of US edition of the daily has 24 pages while the Chinese one has 16 pages. Founded in 1993, the Chinese version of Global Times has a daily circulation of over 2 million. It launched the English version in 2009 and quickly became one of China’s most influential English-language media.